Who are the ‘Blogging Friends’? We are Stampin’ Up! demonstrators all across the U.S. and Canada. Most of us haven’t met in person, but love Stampin’ Up and want to share with you! Please join us on the 1st of every month to see what wonderful things we have created! Each month we’ll have a different theme; this month it is The NEW Catalog!! How fun is this?? There are a lot of new things going on with the card. New cardstock, new stamps, new ribbon, oh my! The funky little lines on the circles are also part of the stamp set, meant to be the centers of flowers.. but nothing says they have to be used for that! Here is a close up so you can see the Wink of Stella I added to some of the circles, which, by the way, are the size of a plastic pop bottle lid. I look forward to making many new projects with all these fabulous new colors! Don’t worry, when I do I will share them with you so you can be happy, too! Also, if you missed it on the calendar, I have a class this Saturday, and the deadline is coming up soon! Please let me know if you would like to attend, and you can see these new products up close and use them to make some new cards. It’ll be a good time! I can’t wait to see what everyone else has to share this month, as there is just so much excitement over the new catalog! 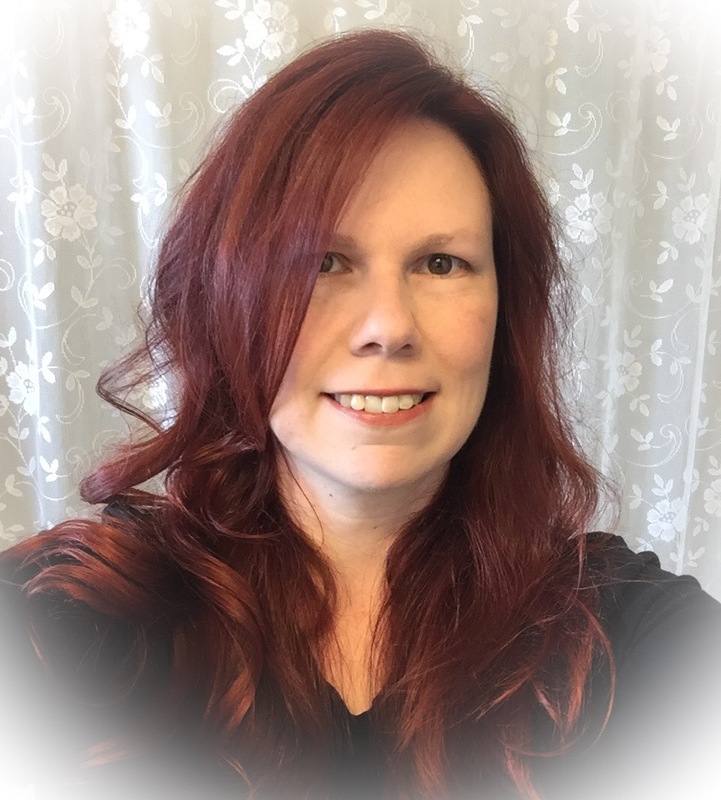 So, please take the time to hop on through the rest of the Blog Hop today, you will be heading over to Tammy, and I hope you have fun looking through all their projects, too! This entry was posted in Blogging Friends Blog Hop, Card Samples, Classes and tagged #bloggingfriendsbloghop, ribbon, watercolor, Wink of Stella. Bookmark the permalink. This card is awesome Mary Ann! I love the watercolor circles! Super cute! 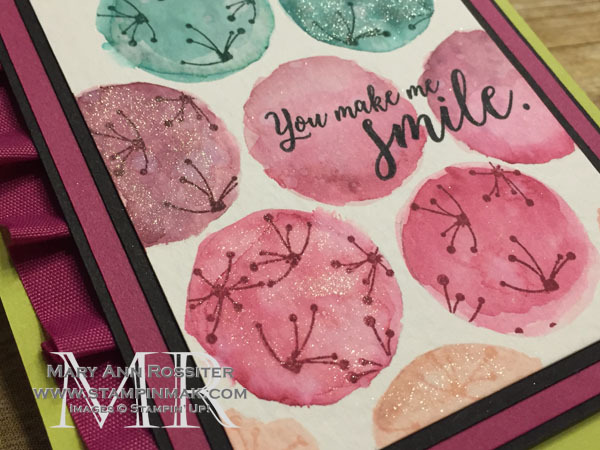 This is a super fun card, Mary Ann! I’ll admit that Lemon-Lime Twist is my LEAST favorite out of the colors this year, so it’s always fun to see wheat other’s love so much! Happy June! Fun card!! Love the design! Awesome card, Mary Anne! What a great way to showcase these colours and really show that they can all be used together. I love the water colouring and the glitter with the wink of stella. Love your neat card idea Mary Ann!